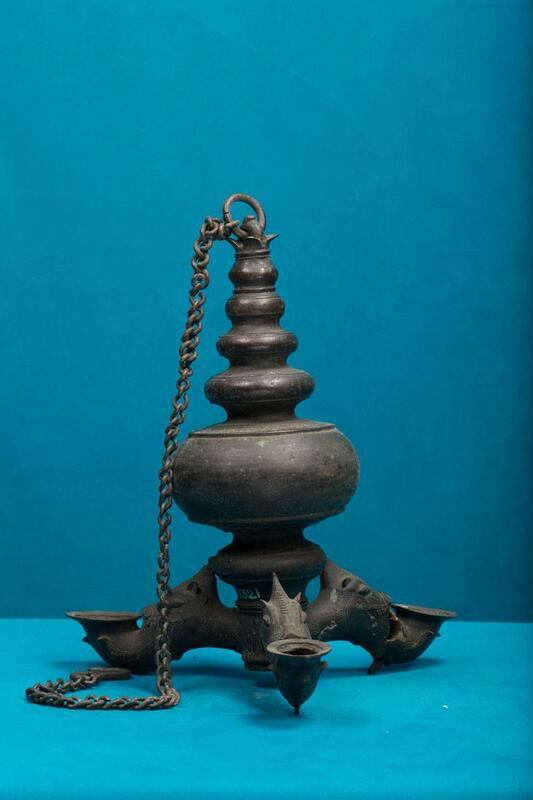 Vada vilakku is a type of hanging lamp. The present exhibit is in the shape of a pyramid. It has a long chain in order to hang the lamp. The four branches at the base of the lamp provide space for the wick. The lamp has a lotus design at the top portion.